Curves can progress rapidly during an adolescent’s growth period and generally slow as the patient nears skeletal maturity. We are able to predict with some certainty the likelihood of the progression of a patients curve based on the age, skeletal maturity and current magnitude of curve. Figure 2: The above patient has a 3 curve. Her trunk is seen translating to the right. Her right shoulder blade is also more present. Her left hip is more prominent and her head is slightly right of the midline. Figure 3: The above patient has a 4 curve. Her trunk is seen translating to the left. Her right shoulder is higher than her left. The lower border of her shoulder blade sits higher. Her right hip is more prominent and her head is to the left of the midline. 1 – Weiss, HR, 2015. Schroth Therapy: Advancements in Conservative Scoliosis Treatment. 1st ed. Germany: Lambert. 3 – Scoliosis Research Scoiety. 2016. 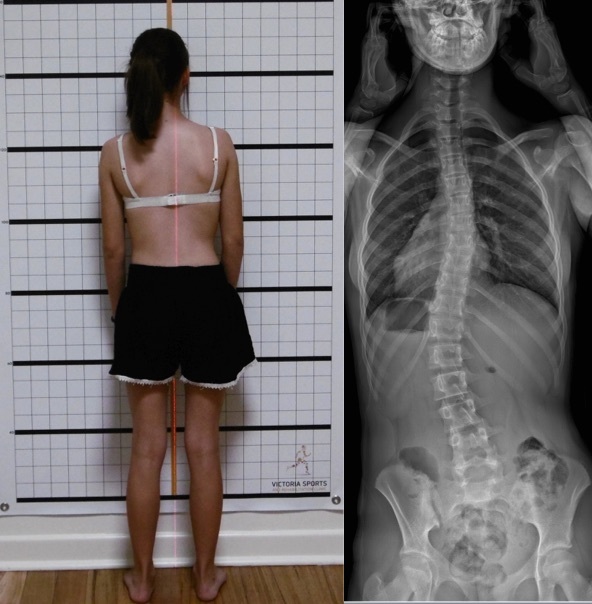 Adolescent Idiopathic Scoliosis. 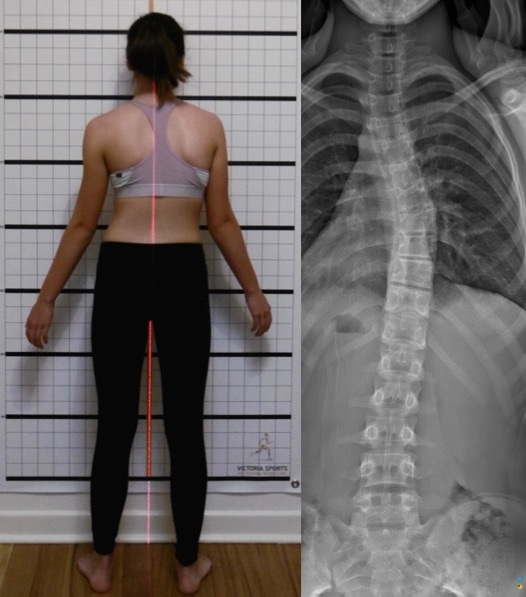 [ONLINE] Available at:http://www.srs.org/patients-and-families/conditions-and-treatments/parents/scoliosis/adolescent-idiopathic-scoliosis. [Accessed 04 January 16].